Bryce is a passionate attorney whose dedication to clients shines through everything he does. As a civil litigator, Bryce’s innovative style draws upon a decade of experience in diverse practice areas such as corporate law, estate planning and toxic tort litigation, allowing him to see opportunities and provide perspectives overlooked in many cases. Bryce practices client-focused general counsel, providing tailored solutions for difficult family and civil matters. By taking time to listen to and understand his clients’ needs and goals, Bryce provides legal advice to help clients manage risks and stay focused on what matters most – their success. Bryce is a graduate of the University of Texas and the Santa Barbara College of Law. 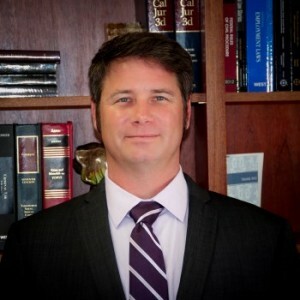 When crafting solutions to clients’ matters, Bryce draws upon both his law school education and over 10 years of experience in the legal field in diverse practice areas such as corporate law, civil litigation, and estate planning. As such, Bryce brings fresh perspectives to family law matters to help clients better understand the possibilities in any situation.